Updated: March 7, 2016 at 7:41 p.m. The announcement came in the middle of the Joint Elections Committee debate Monday. Hart ran on a platform focused on community service. There are now two candidates remaining in the presidential race, the smallest field in recent years. Hart was not at the debate and his campaign has not yet released a statement about his decision. Hart, who is an Egyptian-American, has said students feel disconnected from the SA. 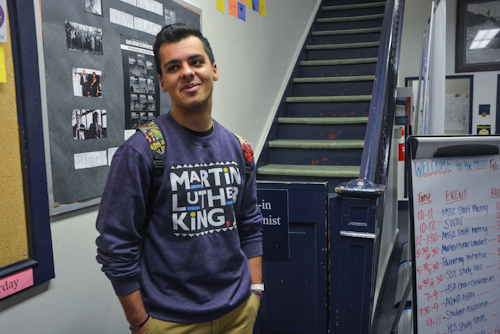 He said if elected, he would advocate for upgrades to the Multicultural Student Services Center. Hart is a junior majoring in international affairs. The SA elections are on Wednesday and Thursday.